A very well established race on a classic course, the Dambuster Triathlon is where Iain Robertson took 1st in Age Group. 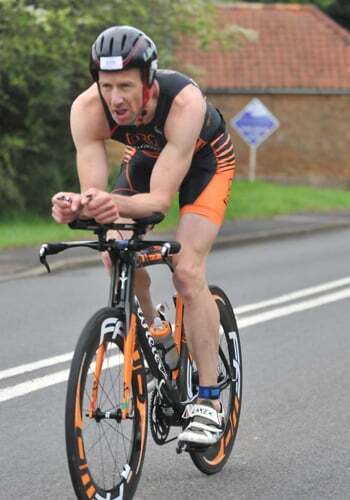 The Dambuster Triathlon is well known for attracting a quality field and this year was no exception with some fast Elites in the field and Matt Bottrill making the transition from Time Trialling to Triathlon. “I was in the second wave off, away from the action unfortunately”, Iain commented, ” I had a good race, finishing 1st in my Age Group and 13th overall. Although my swim felt good I had lost 4 minutes to the fastest swimmers in the wave before, which had done the damage for the overall positions. I was very pleased with my bike/run performance”. Iain is now preparing for the British Champs in Liverpool with a couple of local races in the build up.